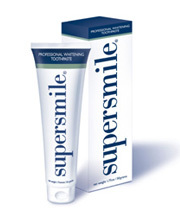 Dissolves the protein pellicle to which plaque, stain and bacteria attach without harmful bleaches or abrasives. Patented formula contains Calprox to whiten baking soda for fresh breath and healthy gums and ADA recommended fluoride to prevent cavities. Removes surface stains such as coffee, tea, tobacco, red wine, etc. 4.2oz tube lasts 3 months.